Creamy Shea Butter, Glycerin, Plant Extracts, Evening Primrose, Ivy, Cucumber, Aloe Vera, Sea Kelp, Ginseng, Comfrey, Vitamins A, C & E.
Body Souffle describes this lotion perfectly! Light and fluffy, with a perfect amount of slip. 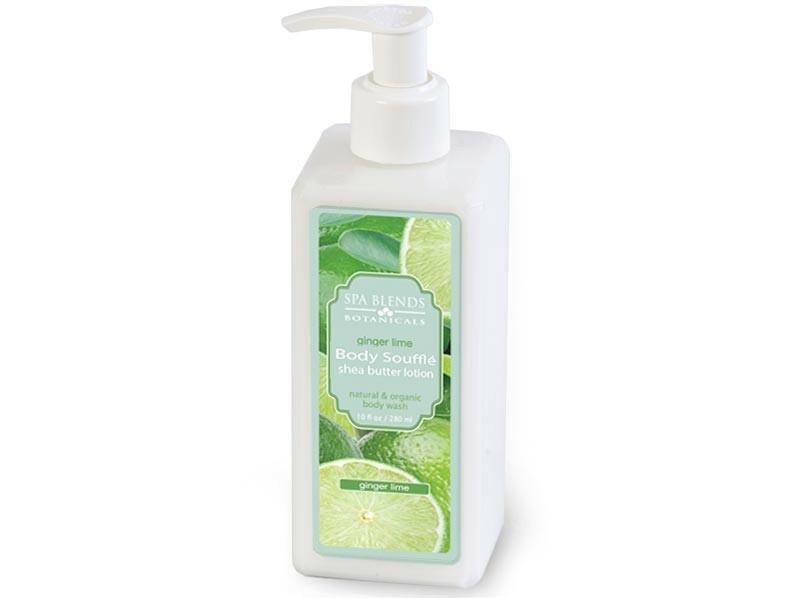 Our hydrating Body Souffle will leave skin nourished and hydrated. Perfect for Manicures, Pedicures and Body Treatments! While your client's feet are soaking during a pedicure, ask them which of the Spa Blend's Body Souffles they like the best. Once they choose, pump Souffle onto their hands. While they are relaxing, they are also enjoying the silky feeling and wonderful aroma of the Spa Blend's Body Souffle. Remind the client that you have the Souffles available for home use.